While celebrity-endorsed spirits have been big business ever since Sean "Diddy" Combs partnered with Ciroc vodka in 2007, George Clooney's reported $1 billion payday for selling off his Casamigos tequila last year brought the trend to a whole other level. This year alone, Ryan Reynolds bought Aviation gin, Bob Dylan and Metallica both announced brand-new whiskies, and now Conor McGregor is launching, appropriately enough, an Irish whiskey. It's called Proper No. Twelve, and the name is derived from the MMA champion's childhood home. "I come from a suburb called Crumlin, in Dublin 12," he explains via press release. "It’s a place dear to my heart. It’s where I learned how to fight; it made me who I am today." McGregor is the founder, chairman and majority owner of the company. McGregor took a hands-on approach to developing the liquor, in partnership with the world’s oldest whiskey distillery, Eire Born Spirits. "We created close to one hundred blends," he explains, "and ultimately selected what we knew was the one and only proper whiskey blend." A blend of golden grain and single malt, Proper No. Twelve is produced in an area known for its rich soil and pure spring water. The company characterizes the taste as "complex and sophisticated yet smooth and approachable with hints of vanilla, honey and toasted wood." I tasted a sample sent to the Entrepreneur offices, and this description is spot-on. It's extremely well-balanced, with a smooth interplay between sweet top notes and peaty backbone. While Proper No. Twelve is tasty neat, a couple of ice cubes really brings out the whiskey's complexity. A supporter of first responders, McGregor has committed to donate $5 for every case sold to local first responder organizations/charities, up to $1 million annually. “First responders all over the world are the unsung heroes who act with courage and answer the call of duty every day for people in need,” he commented. Proper No. 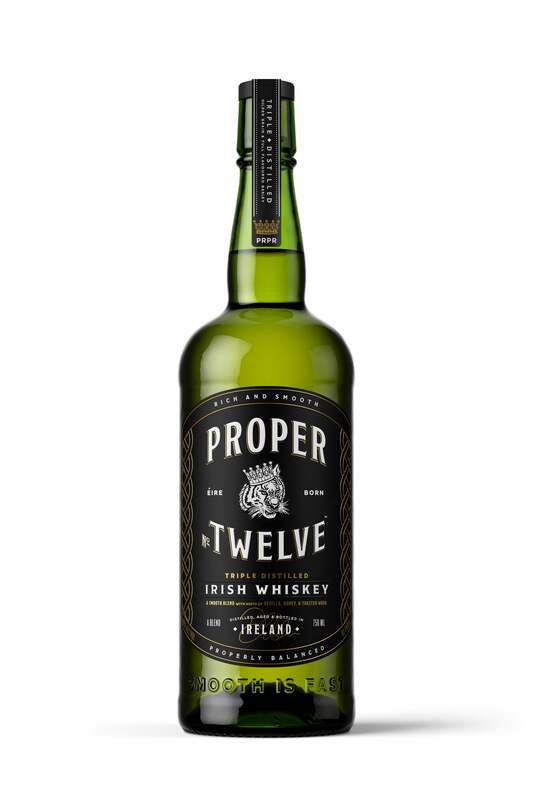 Twelve will be available in McGregor’s homeland of Ireland and the United States this month.